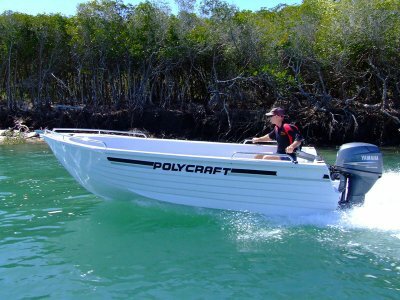 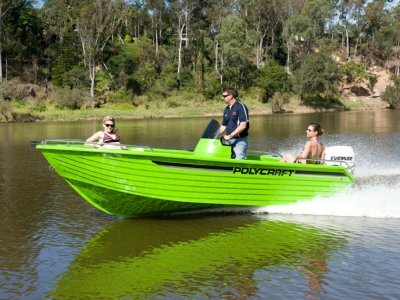 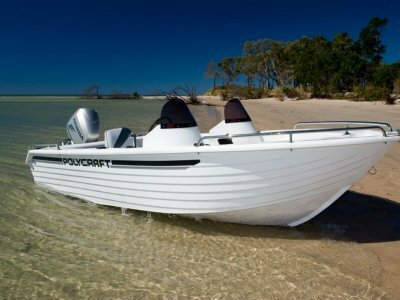 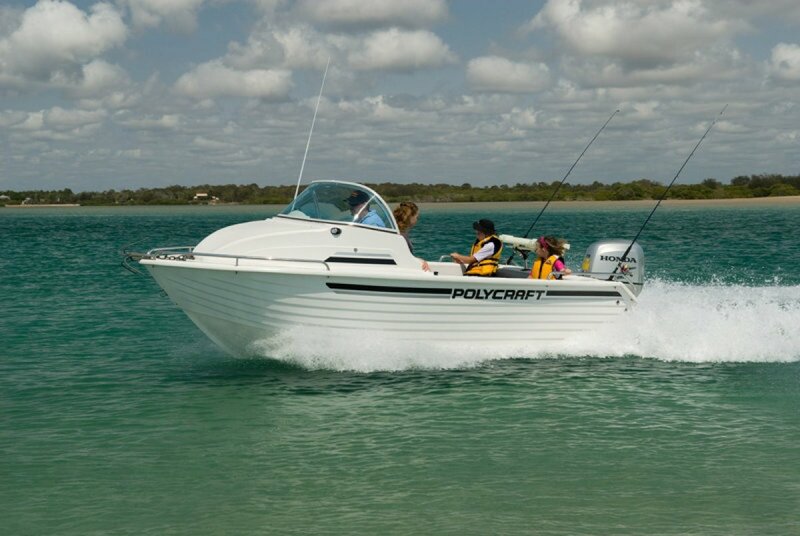 Polycraft 4.80 Brumby series, available in Cuddy Cabin Centre Console with either fwd or rear helm position, Side Console and Frontrunner models, the high freeboard, together with the proven soft, dry ride, makes the Brumby a brilliant option for serious offshore or social fishing, with plenty of storage, hand rails, bait boxes, hydraulic steering, rod holders, in floor fuel tank and full length floor, all standard you just have to choose your engine, select one of the 7 classic Polycraft colour options and plan your first big fishing or family trip. 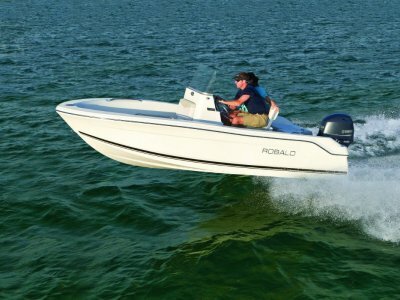 Priced here as a centre console, with Honda 80 4 stroke, on a single axle trailer; we are happy to sell a hull only if you prefer. 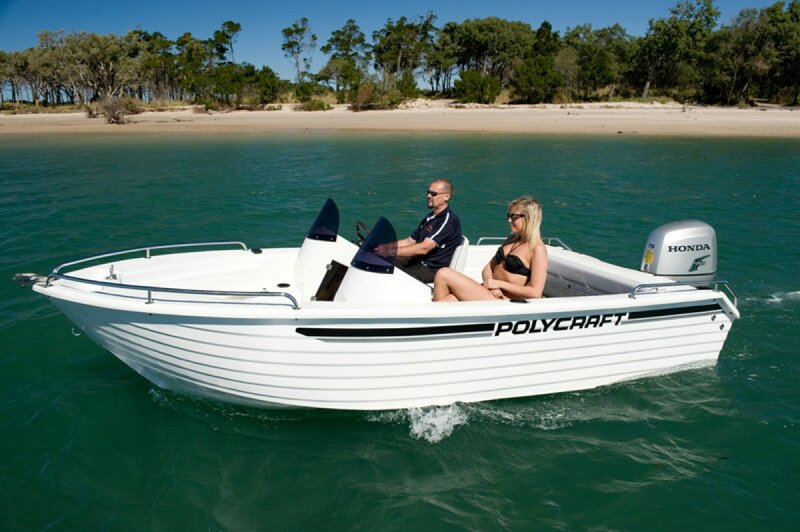 Polycraft also offer commercial survey builds if required.